Gout is a form of arthritis that occurs when uric acid levels in blood and tissues are elevated. This excess of uric acid in the body causes crystallization in the joints and connective, soft tissue (tendons and ligaments), in the form of sharp needle like material (monosodium urate). This accumulation causes the bodies immune system to respond with an intense inflammation that is very painful. Gout is one of history's most commonly recorded medical ailments. At times it is referred to as the ‘rich mans' because of its association with the consumption of excessive amounts of meat proteins and alcohol. Hereditary gout is a the most common form, followed by symptoms caused through poor lifestyle choices like eating a diet high in saturated fats, or a lot of alcohol. Other health conditions and even medicines can also be attributed to causes in many cases. The most common symptom is an arthritis attack of the big toes metatarsal phalangeal joint, causing swelling, redness, hot and tenderness/pain. Although, other joints like the knee, elbow, finger joints or wrists can also become affected (this is less common). The biggest tell, and often first sign you have gout is waking up after a nights sleep, and your big toe is inflamed, swollen and hotter than usual. If this happens, it's time to visit the doctor to get a proper diagnosis. Why Does Uric Acid Build Up in the Blood System? The question of safety arises once again for pharmaceuticals, that are designed to cure, but also cause great harm. We discussed the limitations of some of these conventional medicines in our article about krill oil and arthritis, where we talked about the upside of NSAID's such as aspirin and ibuprofen (which is temporary relief). With any inflammation, the usual course of action is reaching for a tub of pills, without thinking too much of the side effects. Aspirin and ibuprofen both can cause stomach upsets, and used long term offer an array of side effects that make taking them, more of a problem than the reason you first took them – like stomach ulcers and bleeding in the stomach. Colchicine – can cause loss of appetite, gastrointestinal problems like diarrhoea and abdominal cramps, nausea and vomiting. Long term use of colchicine can result in toxicity, causing allergic skin reactions, anemia, hair loss, bloody stools, hypovolemic shock, kidney failure, respiratory failure, pancytopenia, leukopenia and renal failure. Febuxostat – can cause nausea and paradoxically, join pain. Serious side effects of Febuxostat include chest pain or heart attack, stroke, liver problems and disorientation. All these considered, what if there was a natural product that could help control gout symptoms? Well, there is – krill oil. Krill oil can be beneficial to people who suffer from gout, and related symptoms like stiff fingers, cracking joint and pain due to recurrent inflammation. 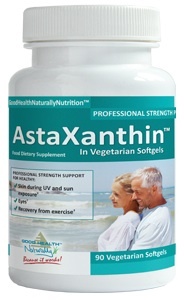 Krill oil able to do this because of the compounds astaxanthin and hyaluronic acid. This source of omega-3 fats offers a stimulus to the immune system, protecting against attacks on joints. Other sources of omega-3 fats (including fish oil) do not possess the same power and protection as krill oil, because of these factors. In one double-blind study using 45 patients suffering from rheumatoid arthritis or osteoarthritis were given 300 milligram of krill oil. Inflammation was decreased by 19% after just seven days, pain was cut down by 24% while stiffness by 21%. Even immobility restrictions were cut down by 16% (4). Consumption of appropriate quantities of omega-3 and omega-6 fatty acids aids in controlling inflammation in the body. Most people are not able to consume correct ratios of these two vital nutrients (because of poor diet choices), which exacerbates the problem. Krill oil supplies the appropriate amounts automatically and that is why it is able to help in bringing down the redness, swelling, pain linked with gout. In a separate study, people with elevated levels of C-reactive protein (CRP), which is a clear indicator of systematic inflammation within the body, were given 300 milligrams of krill oil or a placebo. After taking the krill oil supplement for four weeks, it was found that there was considerable reduction in the arthritis symptoms (5). While it is a proven fact that omega-3 fatty acids are highly beneficial for overall good health, the body cannot produce these nutrients on its own, nor can it convert the omega-6 fatty acids into omega-3 fats. They must come from our food sources, krill oil being the most superior resource. EPA and DHA are the two kinds of omega-3 fatty acids which have been researched significantly and found to be beneficial for health. Krill oil contains similar quantities as fish oil, but where fish oil fails you, is that not all of it can be used by the body (a good percentage is wasted). 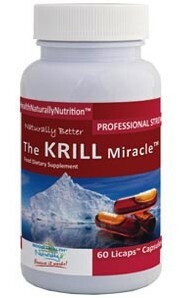 Plus, krill oil is absorbed more rapidly than any other source of omega-3 fats. 4 – Deutsch L. (2007). Evaluation of the effects of Neptune Krill Oil on chronic inflammation and arthritic disease. J Am Coll Nutr, 26(1):39-48.